Face masks are a staple in my skin care routine. I always love using clay masks in particular, although they are a bit drying I find that using clay masks have helped my skin be free from acne. 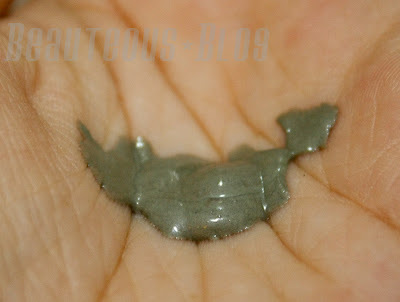 So when I got the chance to try out the Liz Earle Deep Cleansing Mask I knew I would be expecting similar effects. My skin has become familiar with the effects of clay masks, they are not meant for everyone. They leave your skin really dry. Face masks are great to remove dirt and excess oil. 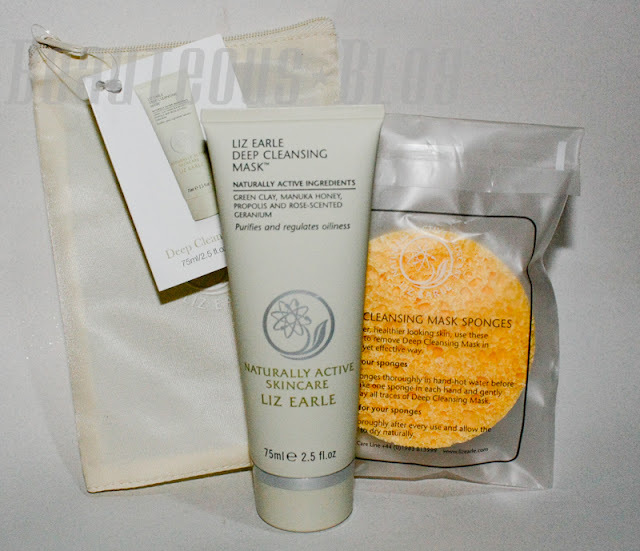 Liz Earle have 3 face masks in their range, the Deep Cleansing Mask promises to remove excess oil and eliminating impurities. 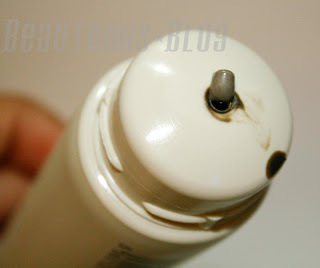 Problem: oily, combination and problem-prone skin. Solution: this highly concentrated clay and manuka honey mask helps draw out impurities and excess oil to leave skin balanced, calm and clear. Smooth over face and neck as an all over face treatment, or to target specific problem areas. Naturally active ingredients include green clay to draw out impurities, soothing manuka honey and propolis and rose-scented geranium to help tone and balance. Apply after cleansing skin, smooth a generous layer of the mask over face and neck, avoiding eyes, lips and hairline. Leave on for 5 – 10 minutes. 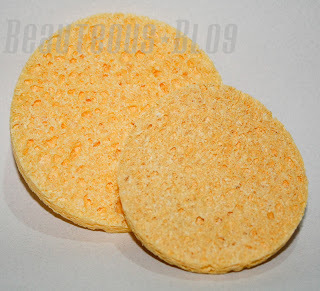 Wipe away residue with thoroughly rinsed sponges. Splash face with cool water. Use as often as needed: either as an all over face treatment, or to target specific blemishes or problem areas. I really like how some of Liz Earle's products come in a zip pouch, I like to keep my washcloths and sponges sanitary so I always store them in the pouch after they dry. The pouch is great for travelers as well. 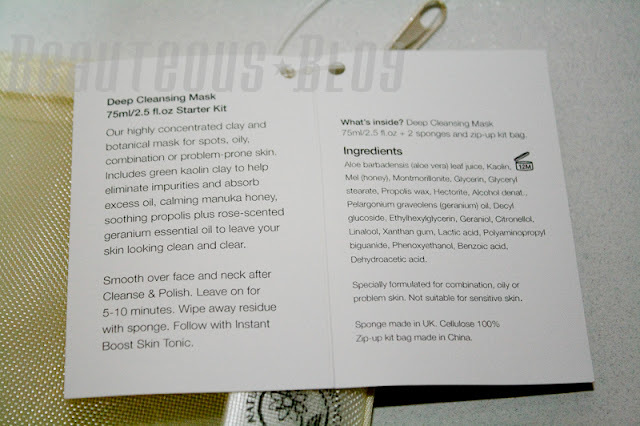 The kit comes with 2 sponges to cleanse the mask off with, I find that using the sponges really buff's the skin really nicely leaving you with supple skin. The mask has a strange scent, I can not pinpoint what it is but it is a bit odd. Looking at the ingredients I can guess that it is aloe vera mixture. I don’t mind the scent but it is an just odd smell. Most of the clay masks I have used have a thick consistency, this mask has a liquidy texture which means you have to use more of the product to fully cover your skin. Which in the long run the tube will not last you very long if you use it more than once a week. I find that using approximately 3/4 of a teaspoon covers my skin and neck with a thin layer. It works really well with just a thin layer, it will dry a lot faster this way. The product gives a nice tingly sensation and after about 5 minutes it begins to dry. It completely dries in about 10 minutes which is exacting what they promise so you don’t have to sit and wait for 20 minutes for this mask to dry. 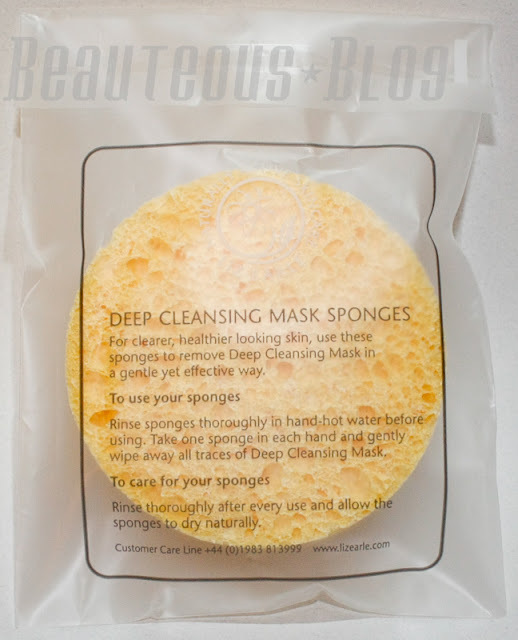 When it does dry I begin to run the sponges under hot water and use it in a circular motion to remove the mask, rinsing masks is tedious so you have to rinse your face a couple of times to completely remove the product. It is suggested for oil, combination and problem prone skin type, if your skin becomes really dry during the winter I would not suggest this product. This product recommends to use it after the Cleanse & Polish then after you rinse off the product use the Skin Boosting Tonic which is exactly what I did and it gave my skin the most supple and soft feeling skin! Even without the Tonic I feel that my skin was clean from impurities. Moisturizing is a must with this product. I really enjoyed using this product, I have never felt my skin feel so soft after using a mask which is a great addition to the product. For more Information Liz Earle Can be found on Facebook and Twitter along with their website. Wow another fab product by Liz Earle :D Great review!!! How cool we did the same review :P I totally love this mask. Sounds good! :) I am sure it would work for me too. [NAILS] Essence Colour & Go in What Do U Think? I won a piCture pOlish Giveaway!